Group tour on the pier. 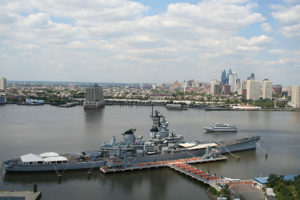 The Battleship New Jersey Museum and Memorial is an ideal destination. 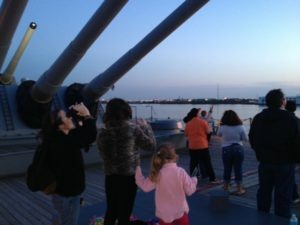 Groups of all ages and sizes find the Battleship Tours informative, interactive and above all else, entertaining. We’re confident your group will as well. 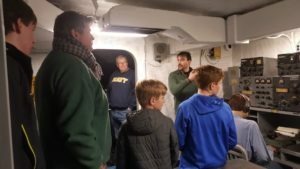 Tours of the “Big J”, led by our expertly trained tour guides, offer visitors an up-close-and-personal look into the many attributes that make the Battleship New Jersey a unique venue to experience. 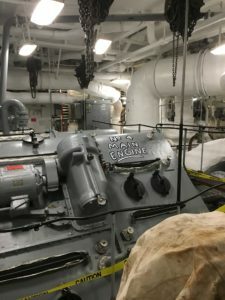 From living spaces to command and control centers; from weapon systems to on-board exhibits in the museum, our knowledgeable guides will assist in sharing the extended history of this remarkable vessel. We can add to that a wide range of fun and exciting options. We can arrange a live USO-style show, discounted combination tickets to other area attractions including Adventure Aquarium, the National Constitution Center, and the Independence Seaport Museum. A variety of delicious catered lunches can be ordered for your visit and you’ll have an ideal outing that your group will long remember. Professional on-site group photography is available to commemorate the day. 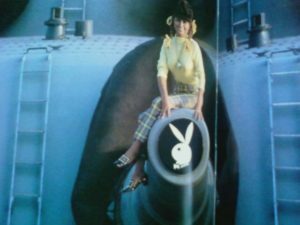 We look forward to welcoming you and your “crew” aboard the Battleship New Jersey Museum and Memorial. 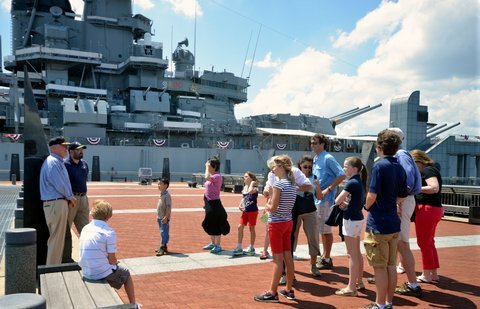 For more information or to schedule a group tour, email groups@battleshipnewjersey.org or call 866-877-6262 ext. 144. Check out our live web cams!